This beautiful torchère was created by the famous French Belle Époque sculptor, Émile Guillemin, in collaboration with the prestigious Barbedienne bronze foundry. 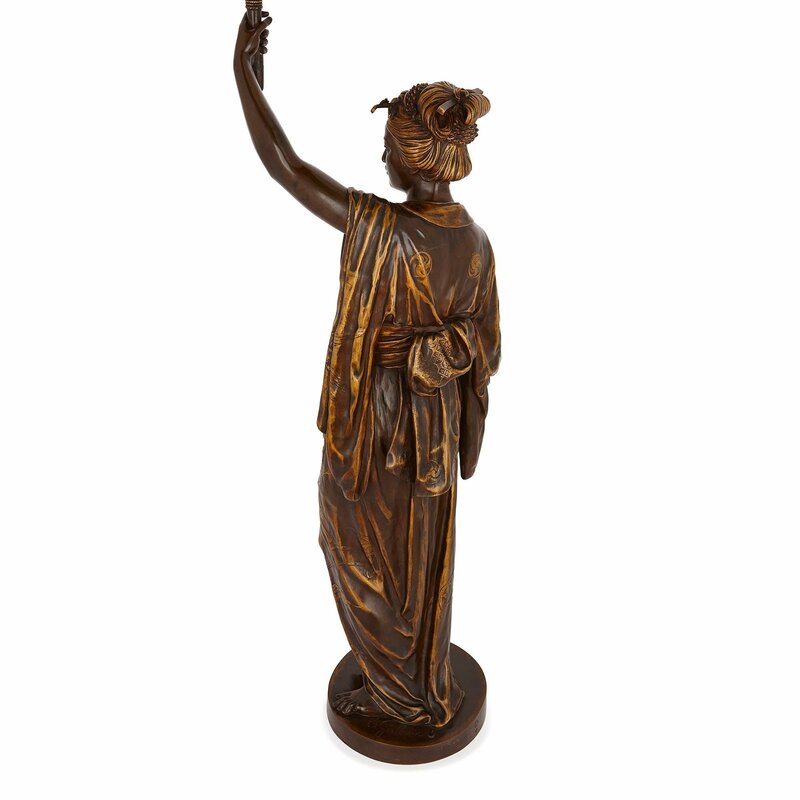 The torchère (lamp) takes the form of a beautiful, young woman in Japanese dress, standing on a circular base. 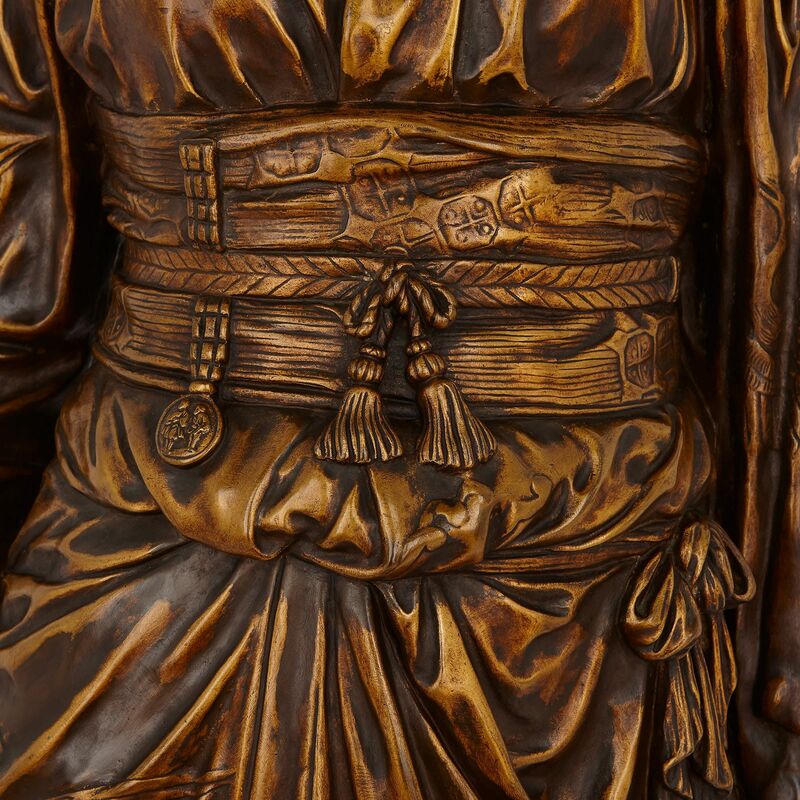 She wears a kimono, which is decorated with cranes, and kanzashi (ornaments) decorate her hair, including a kogai (pin) with a carving of a tortoise on one end. 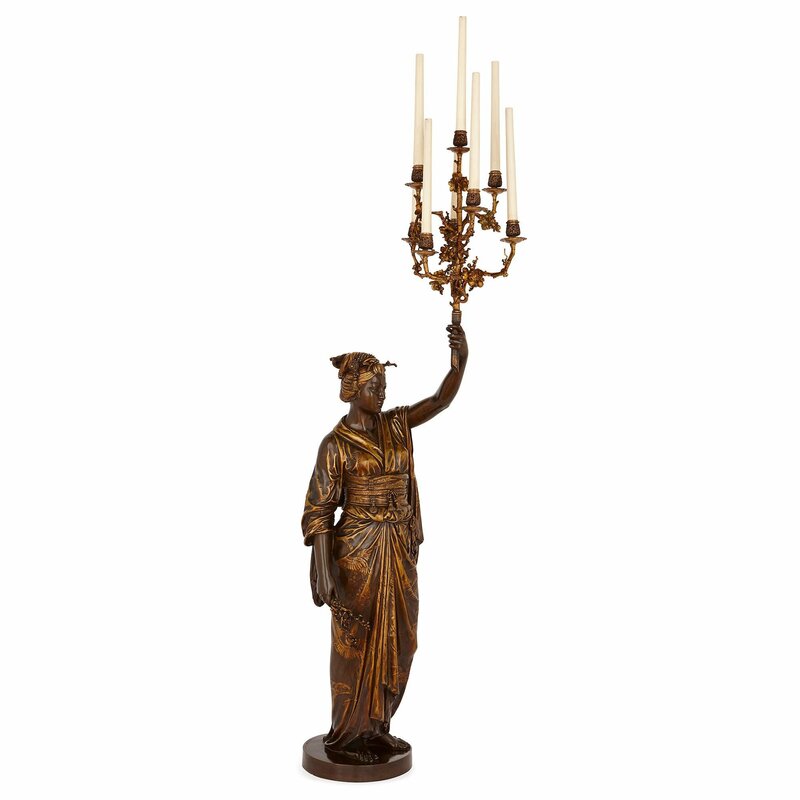 The woman holds a prunus (cherry blossom) branch in her right hand, and a seven-light candelabrum in the other. 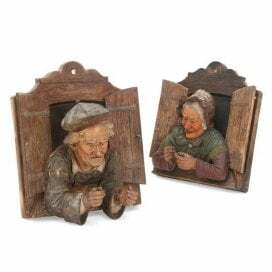 This light-holders take the form of flowering prunus (cherry blossom) branches, which support wide drip-pans, pierced capitals, and candle tubes. 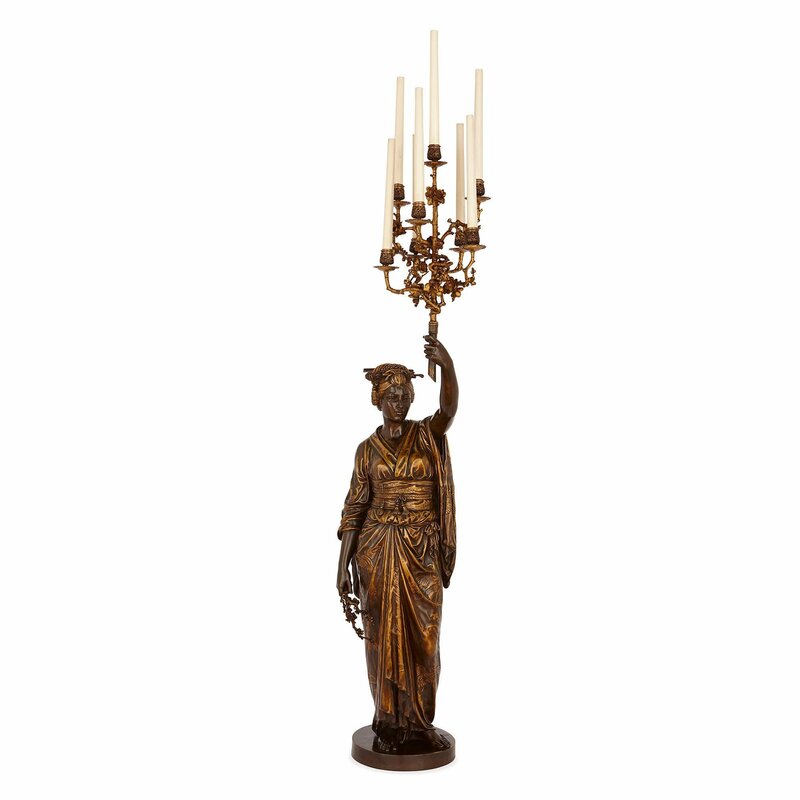 The torchère’s base and the woman’s body are finished with a brown patina, and her clothing, the prunus branch and candelabrum have been gilded. 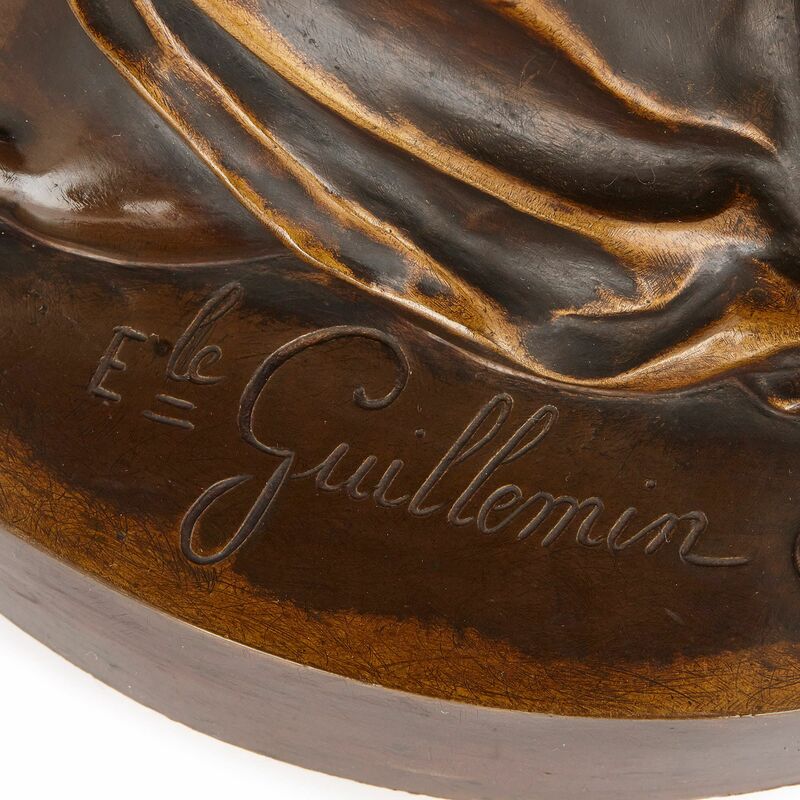 ‘Ele Guillemin’ is signed onto the torchère’s base, accompanied by the stamp, ‘F. 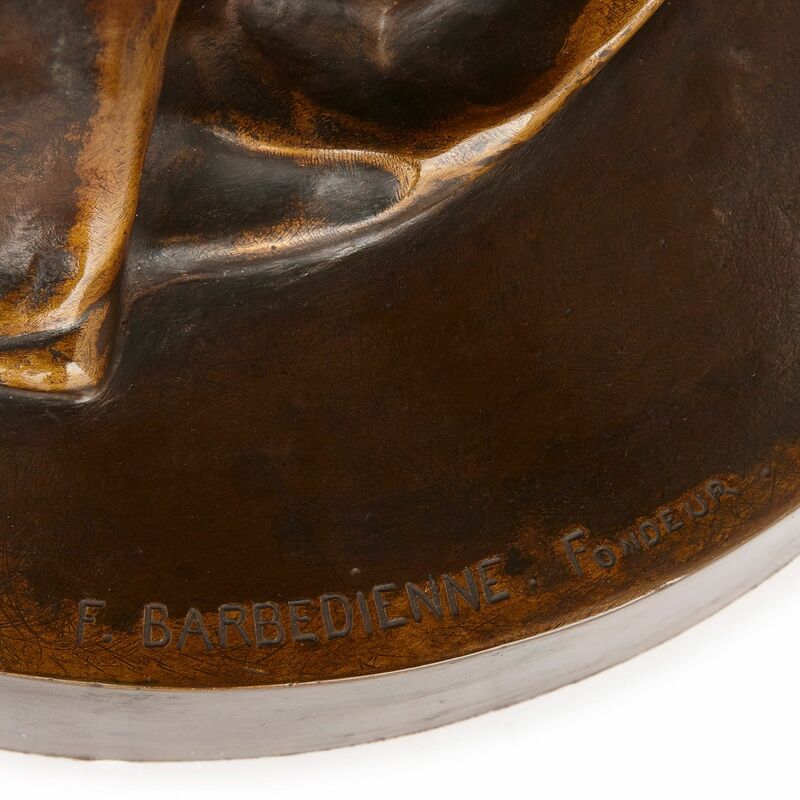 BARBEDIENNE FONDEUR’. 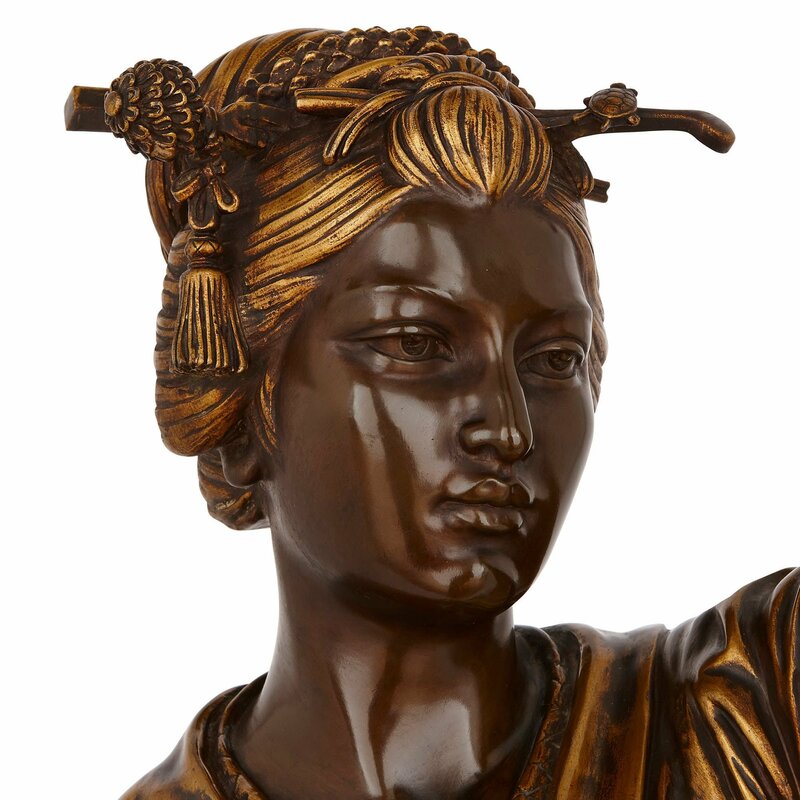 Émile Coriolan Hippolyte Guillemin, was a well-respected sculptor who regularly exhibited at the Paris Salon in the late 19th Century. 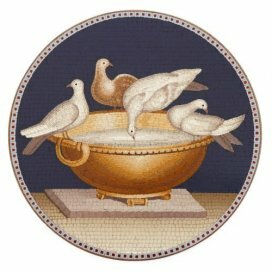 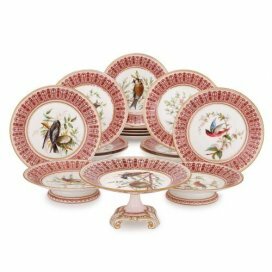 Guillemin often worked in collaboration with the Barbedienne foundry, which was directed by the prolific bronzier, Ferdinand Barbedienne. 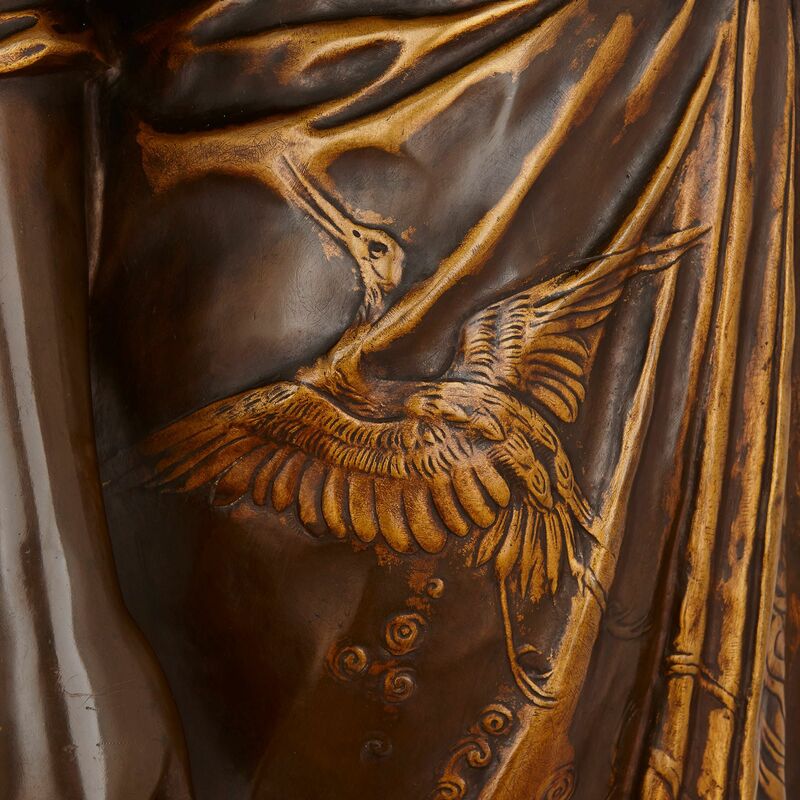 This torchère is not only fine in its casting and finishing, but is also monumental in size.